Last edited by HATMAN on Thu Sep 13, 2018 5:30 pm, edited 1 time in total. Hmmm. . . Interesting concept! So, if I understand correctly, a red number is eliminated from that cell? 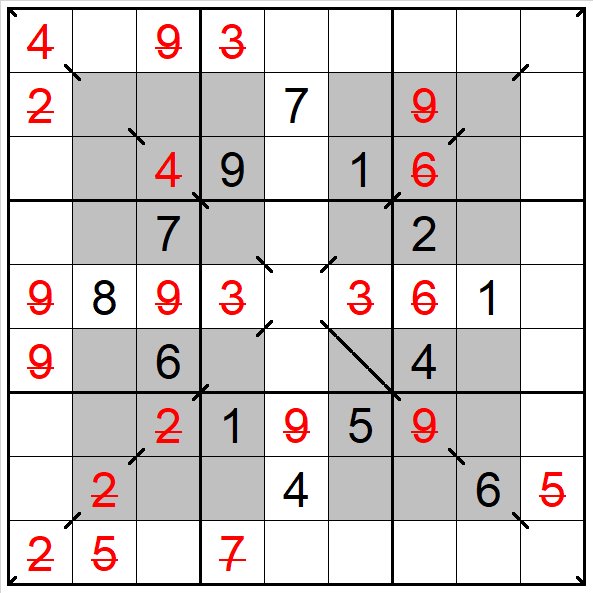 Pasting the following pencilmark grid in Jsudoku or my solver, results in unsolvable sudoku. Posting the pencilmark grid alongside the picture would help pasting it in solvers. HATMAN wrote: Red strike-through clues mean the number is not in the cell. There are three red 4's, two of them in box 6 - I'm assuming the 4's should have been struck-though as well! 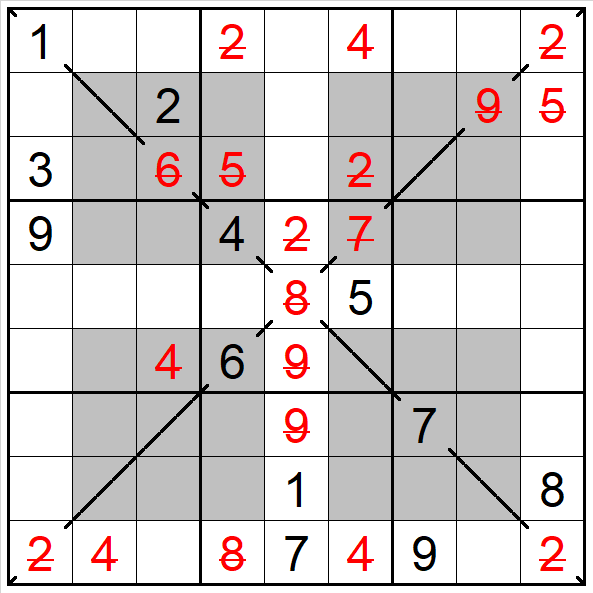 The clues in black, are for an X-Windoku puzzle with only two solutions. 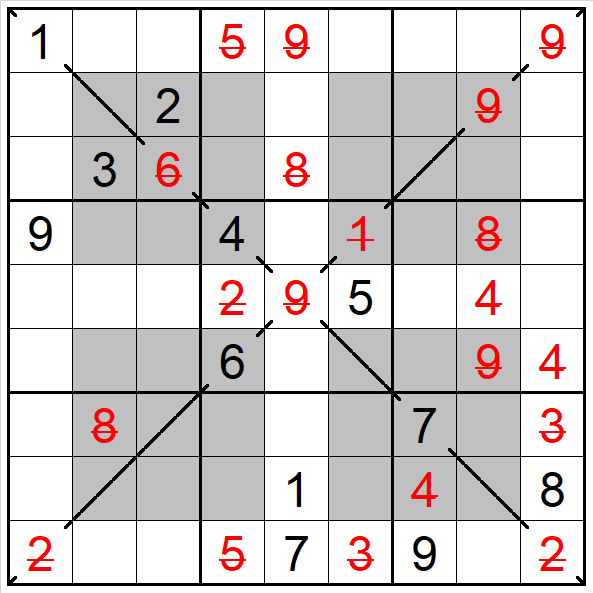 A black clue means that number is in the cell as per standard vanilla Sudoku. 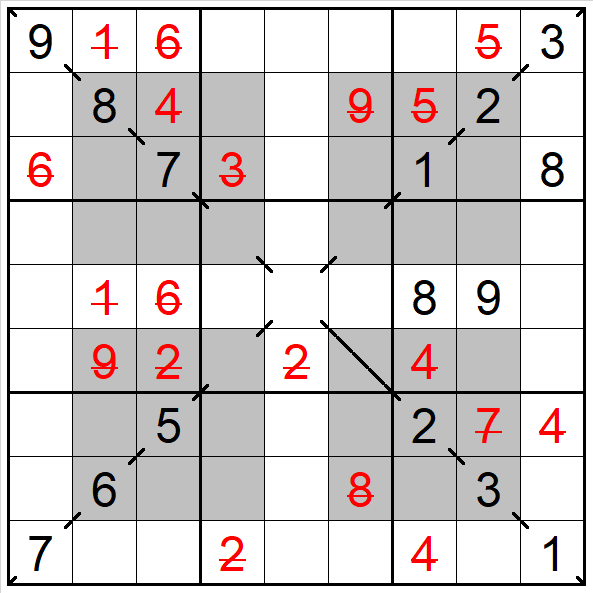 A red clue means the number is not in the call so 6 strike through, means the number is from 1,2,3,4,5,7,8,9. Nothing else is directly implied. The black clues give six solutions. The main problem in building the puzzle with the red clues was of course getting it at a level that would interest this forum. I too couldn't find a valid solution. Could you check for typos? I like this representation of this special category of Sukaku. Well done!! !